I have read post about the trip but somebody please give me an updated version and please the cost at the borders. I am so excited about this venture, on the trip will be me 48y, mother 75y, & my sons 25y and 17y; I am driving from Mafikeng in the North West Province. I want to make my mother's dream a reality please advise. I am saying thank you in advance. If you have a high clearance vehicle, travel north to Karoi, turn left towards Binga and Mlibizi. There is a lot of dirt road with bad corrugations, but this is your shortest route. If you are in a normal vehicle, you have to go south, via Bulawayo and then onwards towards Victoria Falls, and turn right to Mlibizi via Hwange. This is considerably further, but it is on tarred road. Pathfinder is not that reliable these days. Flights are definately your best option, Fly Africa do this route at a very reasonable rate now. Please see this page Getting to Victoria Falls Apart from that there are no other real options. We'll visit the Victoria Falls next year in November for a week. My question: Is it essential to hire a car to explore the VF? I would prefer to explore it on foot. We are fascinated by the VF, so that I do not mind to spent the hole day there. Comments for Car hire or walk? I don't think that hiring a car is essential at all. Just about all activities you do included collection and drop off from your hotel. The hotels that are a bit out of town have free shuttle buses running all day. There are also plenty of taxis about and the whole locality of Victoria Falls Zimbabwe is close so nothing is to far to Walk. This is relative to staying on the Zimbabwe side, if you stay in Zambia that is a different story. Is there a bus connecting Victoria Falls and Gaborone? What time does it depart and the charges. I and a friend are planning to travel to Victoria Falls and the Okavango Delta from Upington, SA. I found an Intercape bus from Upington, stopping in Windhoek and then on to Victoria Falls. We will spend 3 days in Victoria Falls and then go to Maun for 3 days in the Okavango. We would then like to be in Jo'burg after these 6 days to do futher traveling in South Africa. It doesn't matter in what order we do Maun or Victoria Falls. My question is would the minibus from Kasane to Maun be the best way for us to get back and forth? How long exactly does it take? For our trip to Jo'burg I was thinking to take the train to Bulawayo then take an Intercape bus the rest of the way. If we are in Maun and take a bus to Kasane then on to Victoria Falls could we make the train in the same day? Is there any other means that I have overlooked to get from Upington direct to Maun that are inexpensive (a flight is out of our budget)? I am afraid I don’t know all the different bus options between Botswana, Zim and South Africa, but these should be easy enough to research on the internet. But I can offer advice on which route you should take and what to avoid. I would take the bus Uppington to Windhoek and onto Victoria Falls. Once done in the Falls catch a transfer Vic Falls to Kasane (easy to arrange through us) and maybe even send a night or two there as that is the famous Chobe national park with outstanding game viewing. Then catch the minibus Kasane to Maun this is quite a drive of about 620kms and will take at least 8hrs - the flight takes 1hr. I would now not back track all the way to Victoria Falls but I would stay in Botswana and catch a bus to Gaborone and then onto JHB. This will save you time and money. Avoid buses from Bulawayo to JHB as this will involve travelling through Beitbridge border post which is very unpleasant. The VF to Bulawayo train is also a pretty hectic and unreliable journey. An adventure in itself but also a bit stinky and dirty. Please give more details about your trip! Do you fly into Victoria Falls airport and then go to Hwange and if so how are you getting to Hwange? Is this where you are asking for a driver? To arrange this would cost a fortune. Taxis are not really an option either, the distances are just too great. The best option to get from Vic Falls to Hwange safari lodge is the Pathfinder bus. Once there you will rely on the vehicles of the safari lodge. I am worried that you have not got your plans in order or understand fully the distances and logistics of the area. Please respond with more details and I will be able to help you. Plan on staying at the Victoria Falls Safari Club in 5/15. We want to spend a day at Mukuni Big 5 in Zambia. They do hotel pickups in Zambia but not into Vic Falls. What would be the best and most economical way to get there. Also, would you advise getting our day pass visa for Zambia ahead of time so as not to spend as much time crossing the border. I dont live all that far from the Zambian embassy. Thank you for sharing all this info here. It is very helpful. Not sure where you are coming from or going to. If you mean in Victoria falls then you will be dropped at the Kingdom hotel. Thank you very much for your response. As we get closer to our trip I will probably be contacting you. It is easy enough to arrange a transfer that will pick you up from Safari Club and then drop you at the activity day center in Zambia where the Mukuni Big 5 will collect you from. They will also collect you for the return trip. The cost is $15 per person one way. Contact us if you need assistance booking this. Personally I would just get your Zambian day visa when you are there, it is a very quick process. I am planning a trip to Victoria Falls in September. 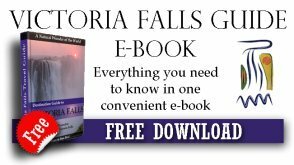 Can you fly in to Livingstone and stay at Victoria Fall? The reason for the question is the airfare is different from JNB to LVI vs JNB to VFA. my email address is changr_r@yahoo.com. Thank you for your help. Please read this page on our website which will hopefully answer your question in full detail. How to get there any further questions please don't hesitate to contact me. Is there more than one transfer shuttle a day from Vic Falls to Kasane? I was just curious about the transfers from Victoria Falls, Zimbabwe to Kasane, Botswana. Do these shuttle operate every day of the week? Do they operate just once a day? What is the minimum number of people needed for the shuttle to operate? Can I depend on a shuttle everyday or are there days when there aren't enough people? Comments for Is there more than one transfer shuttle a day from Vic Falls to Kasane? These shuttles are not scheduled they have to be booked so they operate at any given time that someone wants to go. The minimum charge for Vic Falls to Kasane is 2 people. There are multiple companies that offer these transfer services. So one company might not have anyone going on a given day but then another company might. Generally there are more transfers in the early morning when clients are going to Bostwana for a Chobe day trip and then again in the evening when they are returning back to Zimbabwe. But as said you can book a transfer at any time as long as there are 2 of you or you pay for 2 people. They are very reliable services and they will collect you from your Hotel in Victoria Falls. 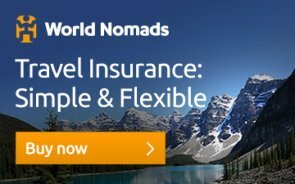 I'm having trouble finding a reputable site to buy tickets from Harare to Victoria Falls (round trip). Will be flying on August 25-30, 2014, but need to be in Harare before 3pm on the 30th. Is there and early flight form VFalls to Harare? Air Zimbabwe are indeed extremely difficult to make bookings with or find out any information. Their website gives very little detail and they don't have an online booking system or online payment and card facilities. To my knowledge there is no agent who will book these for you. You can call Air Zimbabwe reservations on +263 4 575021 and book your flight but you will have to make some arrangement for the payment as these have to be paid to their offices in Harare or Victoria Falls. These are this years schedule so I can't be sure of next years just yet. I'm having trouble finding info regarding the flight schedule and cost for flights from Air Zimbawbe, to Victoria Falls from Harare (round trip). I was supposed to leave Victoria Falls to Harare for my trip back home a 3pm. Will you please shed some light to this question? The trip will be from August 25-30, 2014. Please can you let me know if there is an air transfer from Victoria Falls Airport directly to Binga. If there is what is the cost for one person and what are the booking procedures. I am looking at flying to Vic Falls on 20 Dec and need to be in Binga the same day. Do you possibly have contact details for a company that does transfers from Victoria Falls to Binga? There are no scheduled flights from Victoria falls to Binga, you would have to arrange for a charter flight and being only one passenger I think this would cost you a small fortune. A couple of charter companies who operate out of Victoria falls that I can suggest for you to get hold of are Wilderness Air, Safari Logistics and Exective Air. You could also catch a road transfer which would take in the region of about 3hrs, again this is not cheap being a solo traveller, the cost is $95 per person one way, but the minimum charge is for 4 people so the cost will be close on $400. Its just not that easy to get there unless you have your own car or are travellling in a group. Can you give me any information on the border crossing between Zim and Zam. I will be travelling with my 15 year old grand daughter. I have been told that it is an 11km walk between the two border posts and no one seems able to tell me if taxis are available between the 2. We will be travelling with a bit of luggage and don't feel comfortable walking the distance. Also, do you have any information on the train form Bulawayo to the Falls? Some say it's fun, others that it is terrible and to take Pathfinder bus. Again, travelling with my grand daughter do you think it best to take the bus, or could we have a great/fun experience on the train? I understand even in 1st class you have to go out of your compartment at night (with no lightning) to reach the washrooms and I worry about her. Any light you can shed on these questions will help me tremendously, to make a decision! Thanks so much for all the other great info! Thanks SO MUCH for the information. It helps clear things up for me and I have now decided to take the bus. Much relieved there are taxis available at the border too! Regarding your questions I think you may also be talking about the distance from Zambian border to the nearest town Livingstone. You see you can walk from Victoria Falls, Zimbabwe to the border but you can't walk from the Zambian border to Livingstone. That is maybe where the idea of 11kms comes from? Thank you for your questions and yes I can help to clear these up for you completely. Firstly it is only 2kms between the Zim and Zambia border posts across the bridge, but even this is quite a long walk with luggage and Victoria Falls gets very hot. There are taxis that will take you from one border post to the other (this is called no mans land between the 2 border posts) the cost will be maximum $5. Secondly, the train I am afraid is not in very good condition any more, and it is also not very reliable time wise, it can depart very late and arrive late aswell. The carriages are quite dirty and in some case smelly and there are no lights. It is great for an adventurous young traveller but I would recommend this with your grand daughter. Rather catch the pathfinder bus, which is reliable, clean and comfortable. Can I book a raod transfer to Tongabezi Lodge, Zambie ? Yes you can book a road transfer to Tongabezi. Send us an email - info@victoriafalls-guide.net and we can sort this out for your easily. thank you for your wonderful website, all of your experience and your enthusiasm you share with us! We are a German couple and we will make a Safari in Zambia in August. After that we wish to visit the Victoria Falls on our own. We already managed to book a chalet in Victoria Falls Rest Camp (thank you for the tip! ), but tonight when we thought over it again, we noticed that we first have to answer some questions to be sure it will work. We would like to ask you hoping you are willing and able to answer. - We will travel by bus from Lusaka (where our safari ends) to Livingstone. Is it realistic to think you can leave Lusaka after breakfast and arrive in time at VicFalls Rest Camp before the night / before the border closes (does it? At what time?)? - We wanted to leave Vic Falls on August 25, but noticed that this is a sunday! Will busses probably drive that day or not? - The chalet at the Rest Camp is to be payed in US dollars. What about the shops or restaurants in town? What currency do they accept? Are banks closed on saturdays and sundays? Can you withdraw money with a credit card at a cash dispenser? I hope my English is clear enough, I'm not used to write in English! Thanks for reading and we would be very happy if you could help us with our questions! In answer to your questions please see my replies below. 1) I have not done the bus trip from Lusaka to Livingstone, but I have driven this route and it takes about 8 hours, so I guess a bus might take up to 10 hours, if it leaves at 8 am it might get to Livingstone around about 6pm which is plenty of time to cross the border. The border closes at 10pm. Just advise Rest camp that you will be checking in very late. 2) Where are you leaving Victoria Falls and going to on the 25th? the Pathfinder bus which operates between Harare and Victoria falls is a daily service and yes it goes on a Sunday. 3) The best cash to have is US$ - for shops and restaurants aswell. Sterling, pula and rand are also accepted but the excahnge rates are not good for you. Just use US$. Banks have normal hours and will be open Saturday morning, but closed on Sunday. The ATM machines work all the time and this is the easiset way to get money, the machines will dispense US$ - read our Zimbabwe money page. I hope you have a safe and fun journey and may God Bless you too. Yes shearwater will collect you from the entrance gate of the National Park Lodges, a short walk depending on which lodge you are staying in. My family and I went to Vic Falls in January. There are plenty of bus companies that operate between Joberg to Bulawayo. It can take a long time to cross the border at Beitbridge. Stay safe by staying together. Pathfinder bus company operates between Bulawayo to Victoria Falls. The buses are great. In Vic Falls I would recommend a family of your size stay at Lokuthula Lodge, self-catering accommodation. I know the airport taxes and cost of flights is horrendous. Safety wise it is fine to do the journey on the bus and the train. However it is a bit of an ardous journey. The bus from JHB to Bulawayo is a good luxury coach but on that route the bus is normally very full. The border crossing at Beitbridge is not a pleasant experience as you normally arrive there in the middle of the night and then can queque for many hours, so depends on how tolerant your children are, but it is safe. Your website is fantastic. We are Zimbabweans living in Zambia and planning a trip back to Zimbabwe soon. I see you posted a question about the shortcut between Lupane and Kwekwe but can't find if anyone came back to you? I am trying to find out if the road between the two is reasonable as we have to go to Kwekwe, entering Zim through Victoria Falls as we live in the southern part of Zambia. If the road Lupane to Kwekwe is not too terrible, it would save us going all the way to Bulawayo and then on to Kwekwe. I tried that short cut a few months ago but unfortunately at the time was in a Nissan Champ loaded with stuff (not ideal!). From the Nkayi turn off to Kwekwe the road is excellent apart from approx 30km of gravel. It had me wondering why more people don't use it! However the problem part is the Lupane to about the Nkayi turn off where there 100km plus of gravel Rd which in places the Kalahari sand is deep and troublesome (skidding and getting bogged down)...However if you have a 4x4 I think it is an OK route. If I had a 4x4 I would use it again. Perhaps you have already made your journey but if not hope this is helpful! Unfortunately no one came back to me regarding a recent update on that route. As I said previously I have not done it myself for many years, but when I did it, it is was a not a good road and the shortness in distance was offset against time and wear and tear on the vehicles. I can't see much work having been done on it in the last 10 years so I can't imgine how it can have got much better. It's not a route that is the norm to do so that must indicate that it is not much of a shortcut. At max I think you will save yourself 30 mins to an hour, but will be fairly rattled in the process. Sorry can't be of more help. Once again if you do decide to do it please give us an updated report. Could be a bit of an adventure. If you travel by train to Vic Falls, and you want to get from Zimbabwe side to the Zambia side, how do you achieve this, please inform me of various ways? Thank you. There are a couple of ways to get from Zimbabwe to Zambia. You can walk the distance from the Vic Falls train nstation to the border is about 1.5kms, then the distance between the border posts is probably just under 2 kilometers across the bridge. Then add on the distance to your hotel in Zambia. You can take taxis - one from the train station in Zimbabwe to the border post - one between the border posts and another one on the other side to your hotel. Quite easy really probably cost ypou a total of $15. Or you can arrange a transfer with one of the transfer companies - we can also arrange this for you. You will be picked up from the train station, escourted through both border posts and then dropped at your hotel in Zambia. This is obviously the most expnsive way but is the easiest. I am more interested in museums than seeing the Victoria Falls from all angles. Is is possible, and if so, what are the requirements to cross from the town of Victoria Falls (Zimbabwe) to the the town of Livingstone (Zambia) for say half-day to a day? It is easy enough to cross from Zimbabwe to Livingstone. You can either take taxis or arrange a transfer through us or one of the tour operators in Vic Falls. You will need to buy entry visas into Zambia @ $50 for a single entry and then another visa when you re enter Zimbabwe, or buy a double entry visa when you first arrive. South African immigration requires that all travellers who have been to Zambia have a yellow fever vaccination. So in theory you will need to have this vaccination, but if you are flying out of Zimbabwe and into South Africa they very rarely check this. please advise the above between the hotel & actual falls as well as to the town centre.any other relevant info..
also what weather conditions can we expect mid april ? The walk to the Falls from Vic Falls hotel is less than a Kilometer and takes 10 minutes along a private path. Try this link it gives information on this exact walk. The hotel is also close to town, everything within 15 minutes walk, only thing is the heat and you might prefer to take a taxi. The tram also operates now from just outside Vic Falls hotel and that runs down to the Falls entrance gate and onto the Victoria falls bridge, nice run but costs $25 return or $15 one way. April is at the end of the rainy season, but there still a chance of the old thunderstorm. It is still hot during the day and warm in the evenings. Only really starts cooling down in late May. The Falls themselves are very full at this time of year as it is peak flow period. VERY INFORMATIVE SITE. AM I CORRECT IN ASSUMING THERE ARE NO DIRECT FLIGHTS FROM VICTORIA FALLS TO CAPE TOWN AND THEREFORE ONE HAS TO TRAVEL AND CHANGE PLANES IN JO'BURG? you are correct in your assumptions, no direct flights from capetown and best to go via JHB. I cannot find any flight out of Bulwayo to either the Falls or Livingston they all route me back to Joberg. Am looking for Sept 15,,16 or 17 2013. Can you help? I will even take a bus. At this momemnt in time there are no flights out of Bulawayo to either Vic Falls or Livingstone. Air Zimbabwe is operating again but it is a very unreliable service so don't count on it yet. Things are changing quite quickly within the area though and by next year there could well be flights on this route back up and running. There is a very good bus service called Pathfinder that operates this route daily. Nice buses and reliable service and relatively cheap. So wait for a bit see what happens with flights and if nothing go on the bus. My husband and I are going to be staying in Tiger Bay,Lake Kariba with friends who are from Zim. We were then planning to travle just the two of us from Kariba to Vic Falls on 7th January 2013. I was very excited about taking the ferry but i have just found out that the only scheduled ferry is 3rd Jan and then no others run until March! What would you advise us to do in order to travel there. Is there only one ferry company? Yes there is only one Ferry company and they have limited sailing dates. They will put on more trips if demand requires them to do so, so it is worth putting a booking through to them well in advance so that they can build up some clients. Contact us if you would like us to place the booking for you. Your alternatives are not great I'm afraid. 1) You can either go via air charter from Kariba airport to Vic Falls these are quite costly in the region on $250 per person I think. 2) Drive through Zambia, this is a reasonably good road +/- 8hrs from Kariba to Vic Falls. You do have the addded costs of taking a vehicle into Zambia and then back into Zimbabwe. 3) Drive through Zimbabwe along the Matusadona road. This is a strictly 4x4 road and is quite gruelling, will take probably longer than via Zambia, the road is very bad and should not be done alone. 4) By January there might well be a new scheduled airline that will be offering flights from Harare to Victoria Falls. We are waiting eagerly for the announcement. Can't be relied upon 100% so worth having a back up plan. Hi. We are visiting Vic Falls in July 2012 and have just been quoted R300 each (return) for return transfers from the airport to Lokuthula. This is for 4 adults and 2 children under 12. Your website gives a rate of approx R200 each return. Are you linked to Lokuthula? Do children travel for less? How do we go about booking and confirming travel with you? We can arrange an Airport to Lokuthula to Airport transfer for US$ 24 return. In Rand at todays exchange rate 8.3 works out as you say at R199.00. Sorry kids are the same price. If you need us to book this for you please just send us a booking enquiry form by clicking on this link https://www.victoriafalls-guide.net/booking-enquiry-form.html and we will get back to you with details. I was going to fly from Harare to Victoria Falls but it seems impossible to book a flight right now. Is there another airline besides Air Zimbabwe that flys from HRE to VFA? I'm only staying for 2 nights so am trying to make the best of it by flying there rather than taking a car that takes 10 hours. If taking a car from HRE is the only option where can I see the timings and make bookings? I'll be arriving on the evening on the 4th of May and leave on the 6th evening. Getting form Harare to Vic falls is indeed a bit of a problem these days. There is no other airline that operates this route only the charter plane companies. The details of this can be seen on this page https://www.victoriafalls-guide.net/victoria-falls-travel.html under flights from Harare to Victoria Falls. You can rent a car from either Avis or Europcar but it is a 900kms journey and takes at least 10hrs if not a bit longer. just a few questions about the road tolls in zim. How many could I expect between Bulawayo and Vic Falls? I have heard the cops can be a bit crooked and may look for reasons fine you. Also I have heard that they may ask for bribes. What is the best approach at these road tolls? We intend to be traveling by road all over the country. 3) Yes there are reports of Cops looking for reasons to fine and bribe you. Best and only approach is make sure they have nothing to fine you for. Have the correct car documents and your drivers licence. Make sure car is not faulty. Then stand your ground and do not be intimdated, ask to go to the police station if necessary, this will soon have them back tracking. Most of the cops are very nice and you will not have any problems. If they are making up ridiculous fines do not accept and ask to go to police station. Never lose your temper and never mention anything political. You will not be stopped at the tolls by police it's at the road blocks they they will check your papers. It sounds worse than it is. My name is Gareth, and I'm currently in Zim and want to travel to Kariba and go via boat to Vic Falls or one of the popular destination points close to it. The details of me doing this have changed a few times recently so I've just started to check my options for doing this independently. Then I saw your information regarding the Kariba Ferry! it made my day. I wondered when the ferry is sailing (I saw the dates for April on the website but one link said these may have been rescheduled and wanted to book a place. It's a booking for one and I'm not travelling with a vehicle so hoped I would be able to get a place. Even for the 9th April departure? I also wondered if I was unable to travel via the ferry, what other options there are for me to travel this course by boat? Thanks for your time and I look forward to hearing back from you soon. The kariba ferry sailing dates and prices you see on our website are up to date and current. Being a single traveller I can't think there would be a problem for you to get on. Your major problem I would think is getting from Mlibizi where the ferry docks to Victoria falls. This is a distance of about 300kms and there is no form of scheduled transport. People are either travelling in their own vehicles or they arrange a transfer with one of the transfer companies in Vic Falls. These transfers though are charged out to a minimum of 4 pax at $82 each. You can maybe try and hitch a ride with someone. There is no other boat service that operates from one end of the lake to the other, it is a distance of nearly 400kms, so hiring your own boat would cost an absolute fortune. Not sure if that has been any help? how i can reach there from Harare if no flight available? by land?? or any 4 days travel package available for budget traveler?? pls help and look forward for your reply in the earliest. If the Air Zimbabwe flight is not going, there are a couple of Luxury bus companies that run this route from Harare to Victoria Falls. There is a train service aswell from Harare to Bulawayo and from Bulawayo to Victoria Falls. But this is not of the best standards. If you have a bigger budget there are private air charter companies that run this route - Solenta air and Sefofane air. Their aircraft run this route regularily and they are often trying to fill the seats. Is there an airline which flies from victoria falls to harare direct? Or is/was Air Zimbabwe the only one? Air Zim was/is the only commercial airline operating this route. However there are several air Charter companies which do fly this route. They do tend to be a bit more expensive but the options are limited unless travelling by coach. I would like to fly into Vic Falls and then travel by car to Windhoek Namibia through the Caprivi via Kasane. I tried several online car rental options but none seem to allow one way rental between Vic Falls and Windhoek. Any advice would be appreciated. You could try the car rental companies based in Victoria Falls, not sure if you have tried these yet? Can anyone give me directions from Vic Falls to Mlibizi? We will be catching the ferry from Mlibizi. Any idea how long it will take as we need to be there by 8am. We are travelling in a normal sedan. From Victoria Falls take the Bulawayo road, after 157kms there is a big cross road intersection signposted to the left Kamativi, take this road and travel for approx 80kms where you will see a sign and turning to the left for Mlibizi. From there it is probably 15kms to Mlibizi. It is all good road and should take you no longer than 3hrs. Hi, i'm planning a trip to Victoria falls Zimbabwe by road this December with my wife and I would like to know if we can use a sedan car for this trip or a 2x4 is important especially to move around the victoria falls and livingstone area in Zambia. Also is December a good time to go as I believe the water flow is very low this time of the year. A normal sedan car is perfectly adequate to travel around between Victoria falls and Livingstone. The water level of the Falls is low in December, but the river should start to rise as the month progresses, as the local rainy season will have started. So by the end of December the Falls can be quite full again. The Falls from the Zimbabwe side are always impressive, no matter what time of year. Airport Transfer and other questoins! My wife and I are landing at Livingstone Airport and are staying in a hotel in Livingstone (David Livingstone Resort and Spa). What is the best way of getting there? Do we just flag a taxi outside of arrivals? Or should we book before hand. Also, how much would this transfer cost? We want to have a little side-trip to Victoria Fall, Zimbabwe. Not just to see the falls from that side, but to also see a little bit of Livingstone's sister town. So from our hotel, do we flag down a Zambian taxi, drive to the border, then walk the bridge till we get to Zimbabe customs, pay the visa fee, flag a Zimbabwe taxi and drive into town. OR, can we walk the whole thing? Comments for Airport Transfer and other questoins! We can arrange the transfer for you. If you wouldn't mind just sending us an enquiry form by clicking this link Enquiry Form. Boo will then get back to you with details and arrangements. Thanks for the info. My wife and I like the sound of a bus picking us up from our hotel in Livingstone, then driving us into Zimbabwe, dropping us off in town, then picking us up later for the return journey. How would we arrange this? You can do either, a taxi or a prearranged transfer it all depends on how organised you want to be. A transfer will cost US$16 per person, probably about the same as a taxi. As for getting to Zim you can do exactly as you have mentioned with the taxi's. Walking might be a bit tiring and also extremely hot depending on what time of year you are going. Or again you can arrange a transfer where the bus will pick you up from your hotel take you through the border and drop you where you want to go in Zim then take you back again later. We would have to get a firm quote for you but its about US$22 per person one way. If you need any help with the transfers please contact us. Great site - best I have found. I'm heading to Zambia (Lusaka) and want to make a stop at Victoria Falls. Due to the continuation to Lusaka, LVI is better than VFA; but I want to hotel in Victoria Falls. I've search your site (and others), but can't figure out if a taxi will take me across the border from LVI into Victoria Falls. Is this possible? If you are travelling on a South African passport you do NOT need a visa to enter either Zimbabwe or Zambia. Iam a southafrican and would like to know if I need a visa to cross to Zambia from Vic falls? Thanks for the positive comments regarding our site, we do appreciate the feedback. Taxi's it appears are not able to cross into another country, so you can catch a Zambian taxi to the border clear customs, catch another taxi across the bridge, clear customs and then catch a Zimbabwean taxi on the other side, all fairly easy enough to do. Or you can arrange a transfer with on of the tour operators, like shearwater, wildhorizons etc, they are continually crossing the border to take clients to various activities on either side of the border. The driver will also help you with clearing customs. A transfer from Livingstone airport to Victoria Falls town will cost US$20 per person. We can arrange a transfer for you if you need it, just send us an enquiry form. great site - lovely to see such passion about Zim and Vic Falls. My question is: can vehicles be hired for self-guided trips into the Zambezi Nat Park. As people who often visit game parks here in SA, we would prefer to do it ourselves - is this feasible at all ? There are no fully kitted camping vehicles that I know of for hire. But if you are just talking about day trips you can hire a Bakkie from Europcar and take that into the park. They don't have many available but have a look on their website. what air line flies to vic falls from nairobi? or johnesburg ? what air line flyes to vic falls from nairobi? or johnsburg ? Comments for what air line flies to vic falls from nairobi? or johnesburg ? Hello, If we want to take advantage of the cheaper flights into Livingston, how do we get to Victoria Falls airport where the tour company will pick us up from prior to starting a 21 day trip. We would also need to get back from Victoria Falls airport to Livingston airport. My husband has a UK passport as well as an Australian passport and I have a Dutch passport as well as an Australian passport. Are there taxis we can take and if so what would be an approximate cost and what cost for visas. Can you see the Falls from the air when you fly into Vic Falls airport? It is restricted airspace over the Falls area, which allows the helicopters and microlights to fly safely. The passenger airlines are not allowed to fly over the area. But as the airports in both Zambia and Zimbabwe are only about 20kms from the actual Falls, if you are on the right side of the airplane, you will see the rising plume of spray from the Falls as you approach the runways. It gets you excited but that's about all. To get a good look at the Falls from the air you need to go on a helicopter flight or microlight. Is it possible to get a lift from milibizi to the falls? I am trying to arrange a trip across kariba to view the falls and possibly to fly from falls to joburg. Hi Gina - yes we can arrange a transfer for you from Milibizi to Vic Falls. How many in your group? Cost is about US$65 per person, but as it is a special route and about 300kms in distance there is a minimum charge for 4 people. Apart from this there is no other public transport or way to do it, unless you meet up with someone prepared to give you a lift. How much should I offer the cab driver for either of these trips? I would suggest getting hold of Wild side tours for accommodation and activities in Zambia. If you are travelling alone it is going to be expensive to arrange a transfer all the way to Ursula as you will have to pay for a minimum of two people. I am sure that Old Ursula will collect you from Victoria Falls town centre, check with them. Then you can just catch the transfer from Livingstone airport to Vic Falls town in Zimbabwe. As this is a standard trip you wont have to pay for two people. Old Ursula is very lovely, its just transport that is the problem. Hi Tony, Thanks for your advice.Unfortunately I have paid for my night at Old Ursula Camp, but I will enquire whether I can cancel.Have you any suggestions where to stay in Zambia where it would be easy for me to access the micro flight and lion walk. I am travelling alone till I meet up with a tour after my 24hour stay.I only booked into Old Ursula Camp because it looked so beautiful, but I had no idea it was so far away. If you are staying in Zimbabwe for only 24 hours. I am not sure that Old Ursula is the right place for you. It is lovely but it is way out of town and you will have difficulty in getting into town to do anything you want. It is more suitable for large self drive groups. You are landing in Livingstone which is in Zambia, which means you have to buy a visa, then traveling to Zimbabwe where you will have to buy another visa and then going back to Zambia again, requires another visa or at least a double entry visa when you first arrived. All quite costly. Microlight flights are only available in Zambia and not Zimbabwe. Walk with lions you can do in either country and yes I would advise to pre book either of these. My suggestion would be to email us on info@victoriafalls-guide.net and maybe we can help to restructure your itinerary a little. How many people in your group? alk with the lions while I am In victoria falls. Do you think I need to book these activities in advance or just go along on the day?This is my first time overseas(from Australia)so I am full of questions!!!!! Livingstone airport to the border is about 18kms. Old Ursula is about 15kms from the border. If you caught a cab you would have to change at the border. It would certainly be easiest to organise a transfer from the airport directly to the camp. This will cost in the region of US$26 per person one way. Let us know if you need help with that. A cab from the border to Vic Falls airport will cost you in the region of US$35 to $40. How are you going to get around once you are at Old Ursula? Can I take a short cut in a 2 wheel drive from Harare to Vic Falls? Can I skip Bulawayo and save loads of time? It is several years (like 10) since I have done that back road from Kwekwe through to Lupane. It was a shocking dirt road then and although much shorter in distance took just as long and just about rattled the car to pieces. If you decide to do it please give us an update and let us know how it went. How far is the drive from Livingstone Airport to Vic Falls airport? How much does an airport transfer for two pax typically cost from Livingstone airport to hotels in Victoria Falls? It's about 18kms from Livingstone airport (Zambia) to the border and then about 22kms from the border to the Victoria Falls airport (Zimbabwe). So total trip is approx 40kms. SHUTTLE FROM AIRPORT TO ELEPHANT HILLS HOTEL? we arrive at Victoria Falls Airport on friday 6 may at 01:10 PM from Joburg and we have booked a room in Elephant Hills Hotel for 3 nigths (name: MAROLLEAU). Is there a hotel shuttle to pick up us at airport ? Comments for SHUTTLE FROM AIRPORT TO ELEPHANT HILLS HOTEL? Is it right that the Intercape Mainliner to Windhoek (Namibia) only has a departure from the Zambian side? Staying on the Zimbabwe side, we have to buy a day visum, take a taxi to Livingstone from where the bus leaves straightly to Namibia, right? I've got somewhat confused about the bus route schedule which some weeks ago announced Sunday depatures at 11:00 from Livingstone and 12:00 from Victoria Falls. Now, only the 11 o'clock is shown and the bus station is called Victoria Falls (Zambian side). I plan to visit Victoria Falls and then would like to go to Maun. My plane will depart from Kasane. Can you please advise how I can get there? I saw some messages on the forum that you are able to arrange such a transport? How much would that cost? What is the way to arrange that? Hi Joanna - yes we can easily arrange a transfer for you from Vic Falls to Kasane. The cost is US$45 per person one way and it take about an hour. Easiest way to organise it would be to send us a enquiry form (click here) with your email details and then we can correspond via email. My husband and I are travelling to Botswana in July, and will be renting a 4x4 to drive up to Kasane. We will not be allowed to drive the car over the border to Zimbabwe, and would like to spend one night near the Vic Falls. Is there anyone who arranges more than just day trips to the Falls from Kasane? We are a group of 16 (including 4 children between 12-16 and 4 children between 8 to 12. We are planning a trip in 2nd week of August, 2011 to Kasane and would like to take a day trip to Vic Falls. Please advise cost and also details of what services are included such as Park fees, lunch etc. We come to Botswana in May and end our tour in Kasane. We need one way transportation Kasane - Victoria Falls for 5 persons. What is the best way to do this? We can arrange a return transfer for you from Kasane to Victoria falls. The cost for the return transfer is US$90 per person. This will bring you from Kasane and drop you at your Hotel in Vic Falls and then pick you up again the next day and take you back to Kasane. You are then free to do what you like in the Falls and stay at whichever hotel you wish to book into. Hope that helps, let us know if we can be of any further help in making these bookings for you. If you don't have a vehicle then the only way is to fly with one of the charter companies. Wilderness air, Halstead air or Executve air operate this route. Hi Will be flying to Vic Fall on the 8th October then I need to get from Victoria Fall (Milabizi) to Kariba around the 13th October 2012, the Ferry is not running then , any other suggestion on how to get to Kariba, 4 passengers. This is very informative and good. i came in to read about this topic, thanks a lot. i will put this site into my bookmarks. Hi Sean - Best just send us an enquiry via this enquiry form and we can make the booking easily for you. Hi I need to get from Vic Falls to Milbezi on 24th December. How can I book with this transfer service? Do you have contact info? To get from Mlibizi to Vic falls, presuming you haven't hired a car and taken it with you on the ferry, you would have to arrange for a transfer. This can easily be done and we can help you with that if needs be. Cost is about US$50 per person one way. An excellent fishing camp outside Vic Falls on the upper Zambezi is Imbabala (70kms upstream) , for more details click here. Its a luxury camp so I am not sure what budget you are on, but the fishing is really good there. Close to Vic falls there are not many other options. If you are keen on fishing its best to do that around the Kariba area. There are fishing camps much further upstream in Zambia, again not sure how far you want to travel or budget. From London its best to fly to Johannesburg and then up to Zim, either to Vic Falls or Harare depending on and how you intend to get to Kariba. (Sorry but I don't fly Airzim, its a disaster waiting to happen). Maybe if you send us a booking enquiry form with more details about your trip I can help to put something together for you. Is there transport getting from the Airport in Victoria Falls to Lokuthula Lodge and how much can we expect to pay for such service? If you go to this page Enquiry form and just send your details through we can easily arrange this transfer for you. Good morning, I am also planning a trip in September, can you please advise whom I can contact to arrange a shuttle for my wife, daughter and I. Yes you can easily arrange transport from the airport to Lokuthula. There are taxi's at the airport and normally a couple of transport buses, but we normally advise to pre book a transfer, that way you don't have to worry about messing around there, a driver will meet you at the airport with a name sign. This costs US$12 per person one way, to Lokuthula. We can help you to arrange this if you need it... just contact us. SA passport holders do not need visas into Zambia, so there is no cost there. Carbon tax: based on engine type - K50 to K200 000. has to be paid in Kwacha. Toll Fee: To Livingstone only - US$10. To me it seems like an unnecessary cost unless you have another reason to visit Zambia. It is nice to see the Falls from that side aswell, but obviously you need to weigh up the costs. Crossing at Botswana into Zambia is via the ferry which can take quite a long time and obviously incurs more costs. Rest Camp is a brilliant camp site in the middle of Vic Falls town, clean ablution blocks, nice grassy area, shaded trees, great restaurant and pool area. Not sure what you are after specifically looking for in the campsites in Zambia. You can camp in the Zambezi National park as well but facilities are very limited. Hi, just need more info on this matter please. We are South Africans travelling from South Africa, trough Botwana to Zambia and then through Zimbabwe. We are only staying in Zambia for the campsites seem to be better that side. Could you please advise how much it cost to cross the border per person and vehicle into Zambia and then Zimbabwe. Or do you recommend we leave out Zambia and just stay in Zimbabwe, if so, do you know a great campsite on the Zim side of the falls? would so appreciate any advise. If you are on SA passports you will not need Visa's for Zim or Zambia. ✔ Original or Police certified copy of vehicle registration book and a certified letter of permission to use the vehicle if the registration book is not in the drivers name. ✔ Non Zimbabwe vehicles pay a Carbon Tax valid for 30 days. Cost depends on engine size. Yellow card from an Insurance Provider. This is Valid for all SADCC countries. converted to other currencies, it will be done at an unfavourable exchange rate for you and will cost you more money. Yes you can easily cross over to Zambia for a few hours. I wouldn't take your vehicle into Zambia, either walk across the bridge or take a taxi to the Zambian side, its very easy. in zimbabwe road taxes will cost you r380, unless you buy the insurance from AA which you can show there and save the hassle of queing to pay. There are quite a few air charter companies operating in Zimbabwe - Only Wilderness Air is based in Victoria Falls, and there are none based in Kariba. 6 sleeper(2 bedroom) for sale at R950.00 per night. Was just looking at the Ferry on your site, brings back very fond memories, I think your lady from SA would love to go down to Kariba on that. Re my song Thank You, I am thrilled that you liked it, am busy doing a little fun thing "Beating on the Pot's & Pan's" it's about camping in Inyanga as kids with my Dad, late brother & cousins, Dad being a fine trumpiter played by the fire while the rest of us carried on like hooligans round the fire, of course I destroyed the cutlary using them as drum sticks on the pot's etc - wasnt popular with the old man. In the new year I am doing one about the "Mighty Zambezi", which, if it turns out ok will send over for you to have a listen. Have a great weekend, & keep the news coming, loving it. Hi Tony, Does the ferry still go down to Kariba, that could be a lovely scenic option. Ron. There are no regular commercial flights between Kariba and Vic Falls. You would have to charter a plane, The company that offers this and does this route regularly is Sefofane. It depends on your budget as the costs are quite high especially if it is a return trip. The distance between the two destinations is considerable. My wife and I have booked a few days at "The Kingdom at Vic Falls" and we will be landing at Livingstone Airport. Does the Kingdom have a shuttle service that will collect and take us back?I have tried phoning them, but the line seems faulty. What other reliable way or suggested way is there to get to our hotel and then back to the airport again, a few days later? Kingdom wont have a shuttle service from Livingstone airport, but there are other companies that do this run frequently, obviously because lots of people are taking advantage of the cheaper flights into Zambia. Ambula is such a transfer company and they will charge you US$16 per person one way, from Livingstone airport to The Kingdom Hotel. We can book it for you if you need us to, just send us a contact us form. Hi there. What a delightful website - I so enjoyed reading your "story"! We are flying to Victoria Falls on Sunday 24th October. We were lucky enough to get a very good package which is for three nights at the Elephant Hills Hotel and which includes airfares, hotel accommodation, two dinners, breakfasts and a sunset cruise. We have opted to also have a ride on an elephant. My sister-in-law who lives in Durban, is coming with us. She and my husband along with their other two siblings and their parents lived in Livinstone for many years when they were children and they want to go back and look at the house they lived in, the old picnic spots along the Zambezi where they used to swim etc. but we need to know how we can get from the hotel to Livingstone. Friends of ours have just been on the same package and they say we will be able to get a taxi from the Elephant Hills Hotel to the border - have our passports stamped then WALK across the bridge to the Zambian border - have our passports stamped there again - then probably try and get a tax from there to Livingstone town. Do you know if this is possible and what would the taxi's cost? Also what our friends say is will the Zim authorities happily stamp us into Zim again?! Apparently the taxi's all want $10 for a short trip. I would be so grateful if you could advise me what would be the best way of going about visiting Livingstone for a morning. P.S. Can I use my normal 15amp plug on my hairdryer in the hotel room or do they use other plugs? Also how much does it cost to get in to see the Falls? Lastly - we have bought US dollars - is that the best currency to pay with there ?? At the craft markets is one expected to barter?? Many thanks! Thank you Tony so much for all the information you gave me re going over the border to Livingstone and cost of taxis etc. I really do appreciate all the input. We leave on Sunday 24th to fly to Livingstone and am so excited. I believe the falls are quite spectacular and one just cannot capture the true "splendidness" of them on camera! Thanks again for a most informative website - I have so enjoyed reading it and folks' questions and your answers. Hi, if I were you I would catch the Free hotel shuttle bus which will take you to the Vic falls entrance, which is only about 100m away from the Zim border post. Pass through customs and immigration on both sides. The walk across the bridge is quite long +/- 1km. Then catch a taxi in Zambia to take you where you want to go, I really am not sure about taxi fees in Zambia, but I would budget on +/- US$ 40 to $50 take you to Livingstone around a bit and then back to the border, but that is only a guide, depends on how much driving you will do. You can get transfers from the Zim side all the way to Livingstone which will take you through the border post and across the bridge , but these cost about US$16 per person one way. I am presuming you are all on SA passports and will therefore not need to get visas for Zim or Zambia, if you are on other passports please check if you need a visa as this could add to your cost dramatically. You will have no problem getting your passport stamped on return into Zim. People go across all the time to visit Zambia and then return. Yes US$ is your best currency to use, but rand works well also, except at the border posts for visas etc, they will give you a shocking exchange rate. I guess you are expected to barter as they will always start at a higher price expecting someone to knock their price down. Pay what you think is fair, don't rip them and don't let them rip you. Is the free shuttle service from Elephant Hills Resort operating at the moment. We are arriving on 6th October and have just read on trip advisor review that it is no longer in operation. If this is so can you please tell us how to get into town and the cost involved for 2 people. Also is it possible to have high tea at the Vic. Falls hotel if you are not staying there. If so what is the cost of same for 2 people. Hope you can help - thank you. Thanks Tony. How do we contact the Shuttle Service? If you send us and email info@victoriafalls-guide.net we can arrange it for you and give you details. The Hotels doesn't offer shuttle service to and from the airport, but these transfers are easy enough to arrange through one of the activity operators in town. We can arrange it for you easy enough the cost is $14 per person one way. Do you mean a shuttle between the hotel and the airport or just the hotel and town? The trip advisor comment was posted recently under "best hotel in vic falls" when I googled Elephant hills hotel and went onto the trip advisor site. It stated that no dedicated shuttle from hotel to vic falls - but a local bus was available at certain times till 6 p.m. Thank you so much for your speedy reply to my questions - so helpful - we are now really looking forward to our trip. The free bus shuttle service from the Elephant Hills resort into town is still very much operational. It runs approx every 1.5 to 2 hours. Not sure how old the trip advisor comment was, and I would appreciate if you could direct me to it, because it is incorrect. Yes you can enjoy the high tea at the Victoria falls hotel even if you are not staying there. It costs $25 per stand which includes a whole lot of sandwiches, cakes and scones, delicious.. and of course a cup of tea, this more than enough for 2 people. It starts at 3 pm and ends at 6pm. What is the cost of a taxi or other service from the Victoria Falls lodge to the Zambia border. We are planning a trip by road to the Victoria Falls from Kasane, Botswana. Which border post should we use to enter Zimbabwe and what is the border fee. If you are coming in from Kasane the best border post for you to use is the Kazengula border post which is right there, and then you only have about 70km drive to Victoria falls along a very good tar road which is also excellent for game viewing. There are road fees to pay for your vehicle. Carbon tax varies according to engine size. I´m looking for a transfer to Victoria Falls after this trip. Could you help me? Do you know transfers from KAB to VFA or LVI? Have a look at this page Kariba ferry it explains the difficulties and options of getting from Kariba to Victoria Falls. There are no scheduled flights so you can either drive through Zambia or Zimbabwe or catch the ferry. Hope that helps let us know if you need any more help. I am visting Zim in September, and will be travelling by road. After a stay on a house boat, we want to travel to Vic Falls by road - but not via Bulawayo. I understand there is a back road. Can anyone help me? As an alternative, the ferry trip - how rustic is it? I have people in my party who will not want to rough it. Dear Tony, thanks for the feedback. Yes could I contact you please ? Sorry but no we can't book the national parks for you. That is done through central reservations in Harare. If you contact me through our contact us form, I will them email you the full price list and details of the who and how to contact the booking office. Pre Booking in September I would say is essential. Its prime time especially if you want to get one of the better camps sites. There is a map of Hwange which you can print off, if you scroll to the bottom of our Vic falls map page. I think you live in PMB, so do I, so if you want to give me a call I can help you to decide where to stay in Hwange. After our stay in Vic Falls in September this year, we want to stay in side Hwange Nat Park. We are travelling in a 4x4. Can we book through your website ? The National Parks website does not cater for onsite booking. And further, is is necessary to book, or can one just arrive at the park - I understand park accommodation is under utilised, so there should be space available. Yes there is a back road through to Victoria Falls, this is a 4x4 road that has not had any maintenance on it for ten years, and if as you say your party does not want to rough it, this is not an option, it is for the off road enthusiast. You can drive through on the Zambian side, the roads are tarred and good, but depending on your passports you might pay visa costs. We are booked for our trip to Vic Falls on Friday 28 May 2010 and will be staying at The Kingdom at Victoria Falls Hotel. Could you please provide further information regarding the Departure tax? We've heard briefly about it but are unsure if its included in our airfare or of how much it is. Also, kindly advise the best, safest and reasonably priced options for our road transfers from the airport to the hotel. Hi Sharon - there are not normally long queues at the border post and you should be able to pass through quickly. However if I had a choice I would prefer not cross the border, it just cuts into your holiday time and is slightly frustrating. Don't forget you need a Zambian visa on arrival and you will need another one when you enter Zambia again to fly out. Livingstone airport is quite far out of town but so is Victoria Falls Airport 22 kms. Many people do fly into Livingstone and transfer to Zimbabwe as it seems to be the cheapest option at the moment for those nationalities that don't require a Visa. Thanks for the information with regards the departure tax. I didn't realize there was an airport in Victoria Falls (guess I should have read your website!) and booked flights out of Livingstone. I am now trying to decide whether to cancel them to avoid the hassle of crossing the border. Cost wise it would work out the same if I cancelled the Livingstone flight and flew out of Victoria Falls. (Refund of half Livingstone flight plus saving $50 visa cost would be the same as cost of booking a new flight). Are there long delays to cross into Zambia? And is the Livingstone airport further away? What would you recommend? Your departure taxes will be included in your air tickets out of Zambia or Zimbabwe. There is a transfer that we can book from any hotel in Vic Falls or the airport to Livingstone airport for US$ 16 per person one way. This is done by Ambula Safaris a very well known and reputable company. From Harare to Vic Falls? I'm trying to figure out how to get from Harare to Vic Falls without flying (no thanks) and without going to JNB, is this possible? Any idea on the cost of a charter flight from Harare to Vic Falls? Any other options from getting to Harare to Vic Falls? Comments for From Harare to Vic Falls? Check out Executive Air: execair@zol.co.zw for any and all quotes. They have a large fleet of aircraft, and can accommodate small and larger groups. And VIP guests that want to get there fast and in supreme luxury. They are also online at www.executiveair.co.zw and on facebook. There is also Wilderness Air based in Victoria Falls, and a few other charter companies in Harare that can offer options. There is a city link bus service that operates between Harare and Vic Falls. You can see more details on this page City Link it costs $50 per person one way. As far charter flights go, sorry but I just can't give you accurate info on that one. What is the best way to get from Kariba to Victoria Falls ? I am planning a trip to Zimbabwe in August 2011 and I am really excited to visit all my favourite places.I lived in Zimbabwe for 16 years I am planning to visit Harare, Kadoma, Chinhoyi Caves, Kariba and Victoria Falls. I was wondering what the best way is to get from Kariba to Victoria Falls. I would like them to be two of the last places we visit as they are the best EVER! Could you let me know the best way to travel to both Kariba and Victoria Falls! Also could you let me know of any cool places we could visit when travelling between them. Comments for What is the best way to get from Kariba to Victoria Falls ? Hi Gerald... Yes it is feasible to take your children on the ferry, have you checked the scheduled sailing dates here:- kariba ferry. Do you have a car to get to or from Mlibizi? You can send us a contact us form if you need more information and help with booking. That's great, if you wouldn't mind just sending us one of our booking enquiry forms, found on any of the hotel or activity pages, that we can continue correspondence via email. Much easier than on this FAQ platform. We can then suggest an itinerary for you. Thank you for this information. It helps alot! Yes we will be borrowing/ hiring transport. Our budget should be mid/high as we are going to save for a year and a half. We are interested in site seeing, game viewing, adrenaline activities, and just really experiencing the real Africa...Some of us have lived there and a few of us have never been to africa...so I would like them to expirence every thing. If you could put together an itinerary of some sort for me that would be great! I am attempting one myself at the moment but it is quite hard to do it from England! I love this site and all the information! Thanks for contacting us. I am not sure if you are intending to hire or borrow a vehicle while you are in Zim. At this stage there are still no scheduled flights to Kariba and although there are flights from Harare to Vic falls they are massively expensive. However you are planning well in advance and that is always a bit tricky with Zim as the situation could be a lot different by 2011. We hope and are confident a lot better!!! Anyhow, if you can get a car, drive from Harare to Kariba 365kms, stopping at Chinyoi caves along the way. Then by far the best way to get to Vic Falls is by The Kariba ferry, a 24 hr trip across the length of the lake, they have just re opened this operation, having been closed for several years due to all of Zims problems. We will be putting up some information on the Ferry in the next couple of weeks. You can take the car with you on the ferry and then drive from Milibizi (where the ferry docks) to Vic falls about 200kms. If you like game viewing then I would suggest visiting Hwange as you will be so close. August is a great time of year for game viewing and weather. However it is Zim school holidays so you must make advanced bookings. Obviously Vic Falls is wonderful with so many things to see and do. I am looking for a reasonable price 4x4 to rent with all the camping equipment included. Do you have any suggestions? You have not mentioned where you actually want to hire the vehicle to and from, but I am presuming that it will be from Vic Falls. I have been trying to source a vehicle for you here but there is just nothing available in Victoria Falls. You would have to use one of the companies outside Zimbabwe for instance Safari Drive - see their website www.safaridrive.com - they operate out of Zambia and Botswana. Let me know how you get on, we would appreciate feedback if you manage to get this sorted out. I am looking to travel to Bagani in the Caprivi in Namibia on the 11 Feb and then back again on the 15th Feb and was hoping you could please advise me on the various options available? Due to the short duration, i am looking at the quickest option available? Many many thanks - i seem to keep drawing dead ends in my inquiries! Thanks for the question - I know that you would be able to get a transfer from Vic Falls Airport to Kasane in Botswana - costs about US$ 50 per person one way. I am afraid that from there you would have to see what is available - I would imagine not very difficult to get to the Ferry crossing - but once you are in the Caprivi Strip - Sorry can't really help with any more information. I have booked my trip to VicFalls-Capetown-Namibia for next January.Of course now I am planing what to do and looking to not pay it a fortune . Some friends (but they go sometimes to region for hunting , and I am not a hunter) suggested me to contact the Ultimatelodge .I see that you propose to use other activity company , so therefore I am asking you to give me some advise . Pls find below email I sent to them and I will apprieciate if you can give me some advise to what really to do In January and what not and eventualy along with my contact who else can offer me a safe and not crazy expensive service. So in aprox 2 Months we will come to visit your wonderfull country. As fanatic readers of Wilbur Smith me and my wife we are looking forward to visit part of magic Matabeleland. I was looking in last days many opportunities of what to do and activity. Many nice things but due time and especcially ..money...not everything is possible.The world crisis has affected everybody in the world. As our common friend in Spain have highly recommended me to contact you , before to look for other more famous operators who offers services in VicFalls I would pls ask you to offer me a packages , suggesting may be what are not OK considering January weather. 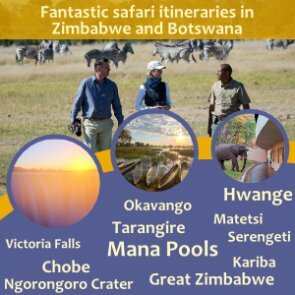 But after this tourist activity would like to see and experience something of the magic Matabele folk ( I don’t know what possible to arrange on day tour near VicFalls and always staying just in Zimbabwe). If you think that something else can be added (we don’t look for some crazy adventure as Rafting or BungiJump) pls propose it. I hope that you can offer us something not so crazy expensive that can suitable our wishes.We are not Millioniare !!! Waiting your offer and proposition. Locals in Zimbabwe would grateful for anything! The people of Zimbabwe are grateful for any form of clothing, the Knit wear that you speak about would be welcomed with open arms and would definitely be a blessing on the long cold winter nights. If you wanted somewhere to take your items - Shoestrings work a lot with the Street Kids of Vic Falls and would be more than willing to make sure that your items found there way to the right homes. Thanks for Information. I will valuate all and if need assistance for any booking will come back to you. Many thanks for your enquiry regarding some of the activities available during your trip to Vic Falls in Jan 2010. Upper Zambezi Canoeing-the cost is US$105 per person full day/US$90 per person half day plus US$10 for national park fees. This is definitely one of my personal favorites. Gently paddle your way down the upper Zambezi River, enjoying the hippo, game and wonderful scenery. Evening Sunset Cruise-US$44 per person - This is a really great way to experience this magnificent Zambezi River. You will definitely see hippos, crocs and many species of birdlife. Dinner Cruise-the cost is US$65 per person plus US$5 for national park fees.This cruise starts off watching the sunset on the Zambezi River with snacks and drinks. Once the sun has set you will be served a three course dinner on the boat ? romantically lit with candles - gently floating down river. Lion Walk-US$115 per person. Walk side by side with the King of the jungle. Meet The People-US$60 per person - this is a trip to a local village just outside Vic Falls - which will allows you to experience them in their every day life and work. In January the Zambezi National Park - could very well be closed because of the high rainfall in this month and - I recommend that if you do maybe some of the trips mentioned above to avoid disappointment if the Park is closed. Shearwater offer some great packages with their activities which I feel offer good value for money. A sunset Cruise plus you choice of any Two activities from the list below. Your choice of any Three activities from the list below. Your choice of any Five activities from the list below. As you can see that these packages do offer some good savings. I would just like to add here that we can organise an Italian speaking guide for you if you required at a rate of US$ 100 per day. Hope this helps with your planning. If you need any further assistance with booking any of the activities please could you send me an inquiry form through the site. Hi. we are staying at Vic Falls and will be going into Chobe National Park during our visit. Will we have to pay border costs both to and from each area every time we cross, or do we receive special prices if we stay at one of the Lodges on the Vic Falls side? Not exactly sure of your question. Are your travelling backwards and forwards every day? Vic Falls to Chobe - as that wouldn't really make sense. Botswana - insurance and road fee valid for 30 days but road permits you can either buy a single entry or double entry. I couldn't find information on your site about traveling in from Mozambique. Normally we would enter Zimbabwe in Mutare. Google maps suggests a very direct route that is not a major highway. Although we haven't traveled in Zim for years, we know it is usually better to take a less direct, better maintained road. Which route would you suggest from Mutare?